Paul McCartney is one of the most iconic figures in popular music history having penned some of rock's greatest songs as a member of The Beatles, Wings, and as a solo artist. He has maintained chart success and popularity for six decades and remains one of the most successful touring acts in the world. McCartney was inducted into the Rock and Roll Hall of Fame with The Beatles in 1988 and as a solo artist in 1999. In 1997 he was Knighted by Queen Elizabeth II and in 2017 was appointed to the Order of the Companions of Honour. This hub will feature reviews and analysis of his work, both with Wings and as a solo artist, as well as news regarding collectibles. 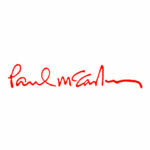 Follow this hub using the button above and you will get automatic updates regarding Paul McCartney when they become available via your "Following" page. Egypt Station, Paul McCartney's 18th solo studio recording, falls somewhere in the middle of his extensive catalog with just enough quality to save it from itself.